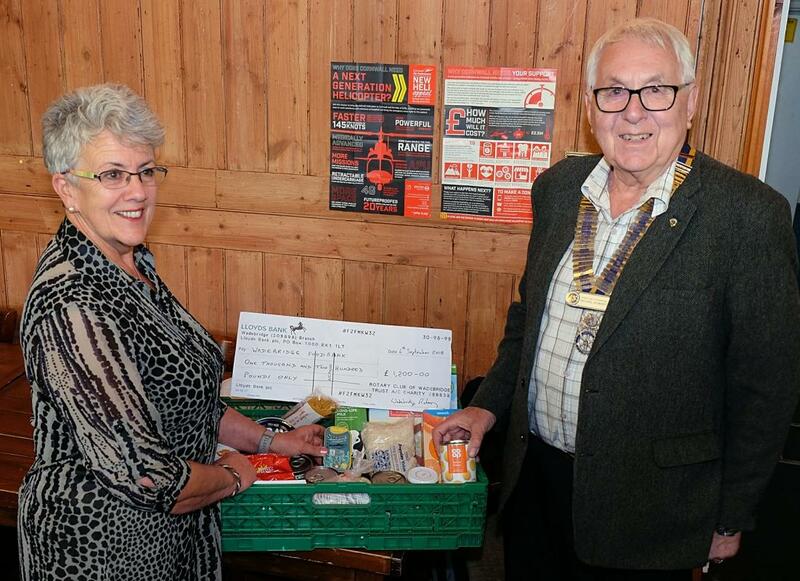 Wadebridge Rotary Club donates to Wadebridge Foodbank, from Wheels 2018. Report by Mick Goward. Photograph by Martin Broadfoot.